After releasing records and touring with his synthesizer-driven Kap10Kurt outfit, the Swiss-born New Yorker focused on working in the studio with a long list of major acts like The Kills and Moby, while also writing several original songs together with Dave Gahan for the latest two Depeche Mode albums. But now Kurt Uenala re-emerges as a solo artist under the name Null + Void, with his debut full-length Cryosleep and displays the full range of his outstanding abilities. Swiss-born New York based Kurt Uenala first made his name in 2003, debuting as Kap10Kurt on the essential compilation The Sound Of Young New York (2003). His song "Die Sleeping" was an early classic of dreamy, club-ready synth pop, and it caught the attention of fans and artists around the world. It eventually landed him a gig recording with Depeche Mode singer Dave Gahan, not to mention a long list of major acts such as Moby and The Kills. Cryosleep is an album of contrasts and tension, where darkness is pierced by blinding light, and where moody new wave bleeds into stark electronics. In one moment, joyful memories give way to isolation and regret, and in the next, Cryosleep explores the catharsis of crowded dancefloors. Throughout the record, Uenala matches his dynamic production with incredible vocalists -- from Depeche Mode's Dave Gahan and the inimitable Shannon Funchess (Light Asylum), to Black Rebel Motorcycle Club, The Big Pink, and Sharin Foo (The Raveonettes). Null + Void's take on dark pop meshes with his love for Detroit electro, poignant synth melodies, and cold atmospheres. Includes three tracks available via the download code: "Blank Stare", "Where I Wait (feat. Dave Gahan) (Radio Edit)", and "Where I Wait (feat. Dave Gahan) (Aristokrasia Version)". LP version. Limited edition color vinyl. After releasing records and touring with his synthesizer-driven Kap10Kurt outfit, the Swiss-born New Yorker focused on working in the studio with a long list of major acts like The Kills and Moby, while also writing several original songs together with Dave Gahan for the latest two Depeche Mode albums. But now Kurt Uenala re-emerges as a solo artist under the name Null + Void, with his debut full-length Cryosleep and displays the full range of his outstanding abilities. Swiss-born New York based Kurt Uenala first made his name in 2003, debuting as Kap10Kurt on the essential compilation The Sound Of Young New York (2003). His song "Die Sleeping" was an early classic of dreamy, club-ready synth pop, and it caught the attention of fans and artists around the world. It eventually landed him a gig recording with Depeche Mode singer Dave Gahan, not to mention a long list of major acts such as Moby and The Kills. Cryosleep is an album of contrasts and tension, where darkness is pierced by blinding light, and where moody new wave bleeds into stark electronics. In one moment, joyful memories give way to isolation and regret, and in the next, Cryosleep explores the catharsis of crowded dancefloors. Throughout the record, Uenala matches his dynamic production with incredible vocalists -- from Depeche Mode's Dave Gahan and the inimitable Shannon Funchess (Light Asylum), to Black Rebel Motorcycle Club, The Big Pink, and Sharin Foo (The Raveonettes). 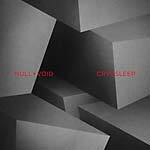 Null + Void's take on dark pop meshes with his love for Detroit electro, poignant synth melodies, and cold atmospheres. Includes three tracks available via the download code: "Blank Stare", "Where I Wait (feat. Dave Gahan) (Radio Edit)", and "Where I Wait (feat. Dave Gahan) (Aristokrasia Version)".